This is a tricky one, I would seriously consider splashing a third color for access to cards that fetch artifacts like Fabricate but the mana fixing becomes a serious issue. I would happily drop AEther Membrane to do this but a three color deck just sounds inherently unreliable in terms of mana. I mainly wanted to try to build around Isochron Scepter and my thoughts other than straight burn would be Doom Blade , Geth's Verdict , Mana Leak , Angelsong , Assassin's Trophy , Bile Blight , Commencement of Festivities , Dampen Thought , Dash Hopes , Deflecting Palm , Essence Scatter , Feed the Clan , Growth Spiral , Heroes' Reunion , Increasing Vengeance , Nourish , Raise the Alarm , Redirect , Solidarity of Heroes , Turn to Frog , Twincast , Veil of Secrecy , Whitesun's Passage . 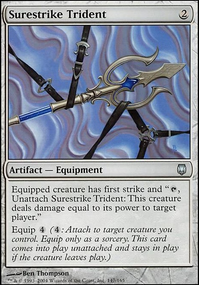 I don't know, it just seems like the scepter could be a really awesome addition to a lot of decks but you would want the scepter plus a fetch for it as well. The first thing that stands out is that the ratios for this deck lean very heavily towards single use, non-repeatable effects. There should probably be a bit more land (I'd aim for at least 36 or so), and a few of the cheap fetch lands would go a long way. While you have some token generators, some additional creatures would probably help as well. Think of it this way: late in the game with no cards in hand, how big of an impact will the card have? If you can include a card with more than one use, the chances go up. TL;DR I would cut some of the limited focus instants and sorceries for some additional land and some creatures/artifacts that still move towards your theme. You might consider Cathedral of War. I'm not sure what the right number is, so I'd start testing at 4x and work down from there if you can't stand it. Vines of Vastwood is amazing, and I rec' running 4x (instead of a split with Blossoming Defense). Also, in case you're not aware: Because of the way the card is worded, it's actually better than hexproof ... you can use it on your opponent's creatures, to prevent them from targeting their own dudes with pump spells and various abilities (like Equip, Modular, and Crew). Though Groundswell is great is a 2-color deck (because of the Fetchlands), I personally think it's kind of meh in a Mono-G deck. If you haven't already done so, you might try testing 2x Groundswell and 2x Giant Growth and just see which you prefer. You could also try it with an extra land or two. Extra Protection: Meta-dependent, but I try to always consider some extra Vines of Vastwood, Blossoming Defense, or Apostle's Blessing. 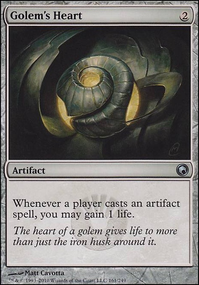 Also, though it's not really protection, Shaper's Sanctuary is intriguing. 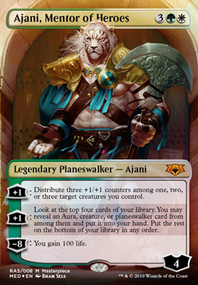 Not sure what I think of it yet, but I'm looking forward to testing it once XLN is released and the price normalizes. Extra Evasion: Meta-dependent, but I try to always consider extra Trample and Unblockable (e.g., Apostle's Blessing) effects. Removal: 1x Dismember is great. If too pricey though, any Green fight card is solid. I like Nature's Way, personally. Gravehate: 2x sounds about right. I'm on Tormod's Crypt lately, because it's the only thing that's fast enough vs. Vengevine. Artifacthate: I'm not personally a fan of Nature's Claim in the side, but that's because there's a lot of Eldrazi Tron in my meta and they run 4x Chalice of the Void in the main ... and Chalice with X=1 will shut Infect down hard. I like Seal of Primordium but Deglamer/Unravel the Aether may be better depending on the meta. Extra land: If I find myself bringing in high-CMC cards from the sideboard, sometimes adding an extra land makes sense. Burnhate: If there's a bunch of Burn in your meta, you may want some disposable blockers and some lifegain. Spellskite (blocker + protection) and Kitchen Finks (blocker + lifegain) are amazing, but super-pricey. Maybe something like Wall of Roots, Steel Wall, or Wall of Tanglecord. I've no idea on the lifegain ... Nourish maybe? 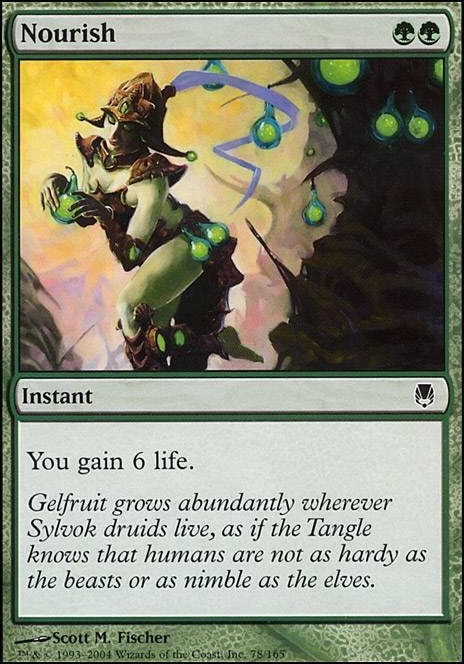 Or maybe Jaddi Offshoot (though I'm not sure it's worth it with 20 Lands). Thanks tons for the shout-out, and again, congrats on your performance at SCG Syracuse! For low-CMC spells, Atarka's Command comes immediately to mind as another super-versatile option, and Nourish as a great option for the lifegain. Moving up the curve, "pre-boarding" a Kitchen Finks could be really good. Or, like you mentioned, Obstinate Baloth or Thragtusk are awesome. 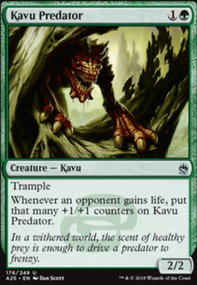 And depending on the meta, Huntmaster of the Fells Flip or even another Primal Command aren't terrible options either. And on the graveyard hate, I go back-and-forth on Cage vs. Relic vs. Scavenging Ooze vs. Surgical Extraction. There's a slightly-dated-but-still-useful discussion on Cage vs. Relic here. To both of you: Draw well! Here are two cards that I designed for my own custom set that I am building, which features sun worship and a "light versus darkness" theme, although I do not wish to say too much about that at the moment, since my plan is still in its early phases. Target creature gets +2/+2 until end of turn. If strength of the sun was kicked, that creature gains protection from the color of your choice until end of turn. This card is essentially Giant Growth with an additional ability, one that can be used either offensively or defensively. It provides a slightly smaller bonus to power and toughness to prevent it from being too powerful. You gain hexproof until end of turn. If touch of the sun was kicked, you gain 5 life. This card was modeled after cards such as Heroes' Reunion or Nourish, and it uses hybrid mana because I believe that such an effect can exist in either green or white alone, as well as those colors together. It protects a player from harm and also can increase their life, to further ensure their survival. Kicker shall be a prominent mechanic in my custom set, and cooperation between colors is also a strong theme, so the set shall have a large amount of multicolored cards. What does everyone else think of these cards? Are they balanced and fairly costed, I hope? 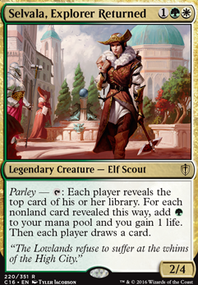 Well, instead of Nourish, which isn't doing much for your deck, I'd consider running some ramp instead, like Harrow, Cultivate or Kodama's Reach, since you want landfall. That and your spells are all rather expensive, so it wouldn't hurt to get more mana faster. nickiru on The Ultimate Land Decimator! Engineered Explosives: yah very good! For the sideboard, go with Nourish over Stream of Life for sure.